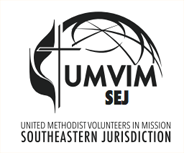 In 2013, UMVIM, SEJ implemented an internship program to develop the leadership skills of a young person within the United Methodist Church. We were so pleased to welcome Lindsey Brown of the Memphis Conference as our 2015 Summer Intern. Lindsey is a nursing major at Union University, and despite her young age, has already traveled to Nicaragua 8 separate times on short-term trips. Read on to learn more about her summer as the UMVIM, SEJ Intern! 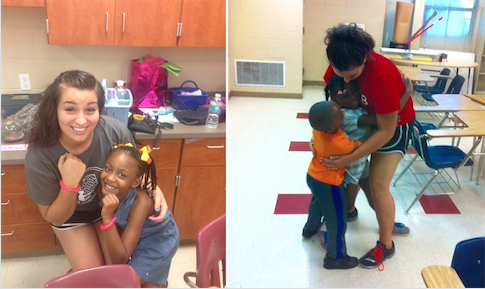 Lindsey began her summer at Alabama Rural Ministry (ARM), a project on the UMVIM Mission Opportunity List that works to end substandard housing and empower the young children in and around Tuskegee, Alabama. A quick look through Lindsey’s photo albums will show you how much she loves ministering to kids, and this really shined during her time at ARM. UMVIM, SEJ Executive Director Paulette West connected Lindsey with Rice and Beans, a ministry that engages in evangelism, feeding programs, and construction efforts. She spent much of her time leading Bible Schools, where once again, God was able to use Lindsey and her gift of connecting with children. She even had the opportunity to translate in a community where there are many Nicaraguan refugees. “It is so cool to see the Lord use my past experiences and passions in these moments,” Lindsey said. We are so very grateful to Lindsey and the passion she brought to our team this summer. We wish her the best as she finishes school, and our prayers follow her as the Lord guides her on her career path. If you or someone you know might be interested in the UMVIM, SEJ Summer Internship Program, click here to learn more about our previous interns, or contact Paulette West at paulette_west@umvim.org for more information.